USED IMPORTED BATHROOM . SIZE 7' X 4' X 7'. We have mobile Urinals with different capacities, specially for men. It is fitted with sludge (night soil) tank (to store urine) with discharge facility. 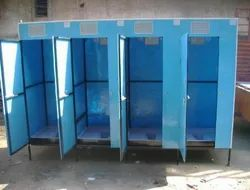 We are amongst the most reputed names in the industry, offering Readymade Toilet Cabin. 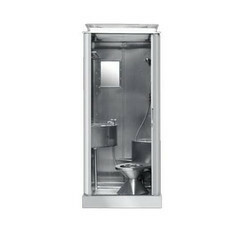 - Readymade Two Pit Model Conventional Two Leech Pit Toilets.